A fun KID FRIENDLY take on this popular painting activity. This creative session starts with 30 minutes in our "art studio" where all kids will be guided through an art class on canvas while enjoying a fine glass of Fruit Punch! Then enjoy 1hr of jumping in our arenas! All young artists get to take home their artwork to proudly be displayed at home. All materials provided. Only $20 per child. Parents are FREE. Check Calendar for dates and times!!! Enjoy some adult time alone or with friends, perhaps catch a movie or dinner without ordering a kids meal, let us do that for YOU! Make your reservations early, space is limited! 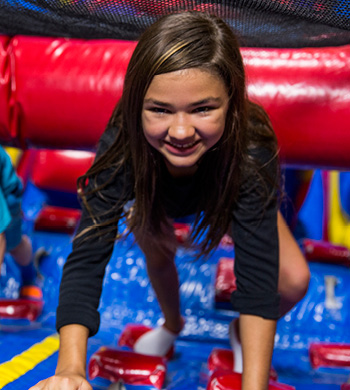 Drop the kids off to us for 3 hours of SAFE SUPERVISED FUN...Children will get a minimum of and hour and a half of playtime! Each child will receive pizza, drinks, snacks, and take home an awesome craft. There will be jumping, a movie, games and other fun filled activities. **Bring your child's favorite pillow pet and/or blankey to snuggle with when we watch movies. Reservations are required for this event. Children must be potty trained to attend. See our event calendar for a complete schedule. 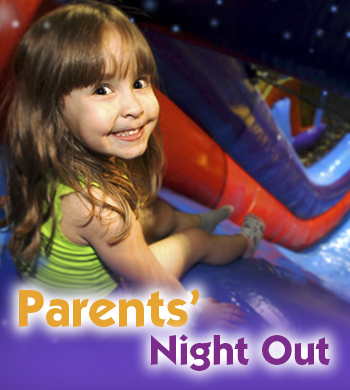 You can still have an amazing Pump It Up Party on your terms. 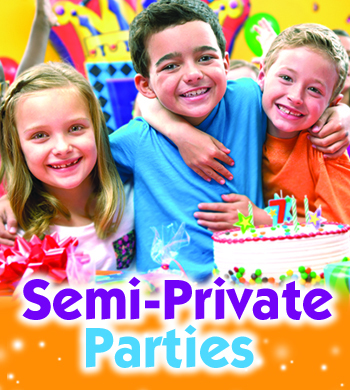 Host a Semi Private Party! Great for last minute parties, small group of kids, or deal savy Moms. Join us for one of our Public Jumps 7 days a week(reservations required) and get the use of our party room afterwards. Prices: 20 minutes for $75 or 40 minutes for $150. You may bring your own cake and goodie bags (no other outside food or drinks are permitted). You may purchase food, drinks, cake and goodie bags from us for that hassle FREE experience. Pre payment of public jump and reservations for semi-private events are required. May not use discounts. Semi must be 10 or less kids . An additional fee of $75 will be charged if head count is over the 10 kid max.